Blast Engineering – SubTerra, Inc. Preliminary Investigations to identify critical engineering issues, define design information needs, assess overall project feasibility, and develop preliminary cost estimates. Development of Regulations: SubTerra personnel have been involved with the development and revision of state blasting regulations. Far-Field and Compliance Monitoring: We provide standard compliance monitoring relative to USBM/OSM limits, owner-specified limits, or other damage criteria. Regression analyses of test or production blast data are used to generate new “site laws” for use on future blasts. Warning Systems and Remote Data Access: We have developed wireless and internet based data acquisition systems that allow individual users to access their data from off-site and to receive both on site visual and off-site cell or e-mail notification when vibration thresholds are exceeded. Monitoring Equipment Sales and Rentals: SubTerra, Inc. is a licensed distributor for Instantel® Blast Monitoring . This instrumentation has been supplied for a broad range of uses ranging from standard compliance monitoring at quarries to specialized near field blast monitoring at Yucca Mountain and dynamic pore pressure monitoring in dam foundations. We offer both sales and rental of Instantel equipment. 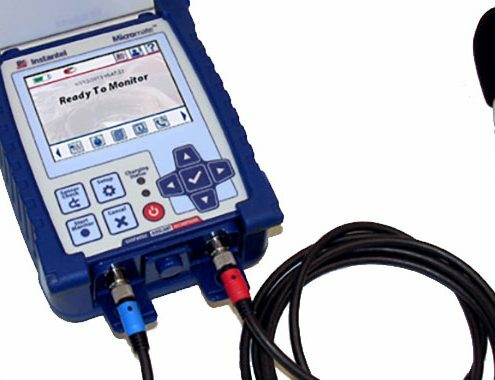 We also work with Instantel to customize other instrumentation for use with the Instantel Micromate, Minimate Plus, BlastmateIII, and Minimate Pro products.